I photographed my gorgeous friend Libby this past weekend! We have been hatching a plan for me to photograph her family for YEARS. 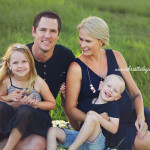 She is a Toowoomba girl, but has since moved to Brisbane and the stars never aligned to bring them all up for a photography session back here in Toowoomba. But with baby number 3 on the way, we were determined to make it happen! Meet beautiful Rebekah, my first newborn of 2017! She was extremely kind to me and helped kick of 2017 by sleeping through her entire session without a peep. She has two very adoring older siblings who were also a pleasure. I could have photographed her all day! Enjoy! 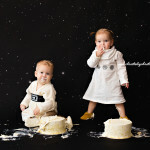 Teddy and Rosie are ONE with the force! 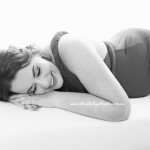 I had such a great time with Jo this morning, capturing some maternity photos for her. She seriously looked great in every colour I put her in! I hope you had an amazing time at your baby shower today Jo! I had the pleasure of photographing 12 day old William today. Such a cutie! And so long, he had legs for days. Such a lovely way to spend my morning. I feel so very lucky to be trusted to capture this special time in people’s lives. This is the second time I’ve photographed this gorgeous woman’s maternity photos and I have photographed each of her babies. 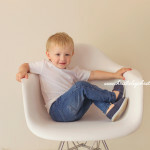 So looking forward to meeting and photographing baby number 3! Parker is 2! I cannot believe it’s been two years since I photographed this little guy! He was so much fun this morning! Lots of energy and a tonne of character. What a cutie! Yesterday I had some fun with Jennifer Horner, of Jennifer Horner Photography in Brisbane, shooting some Eden Elizabeth maternity gowns! We had two gorgeous ladies model for us and it was such a great day. Lots of laughs and chocolate! Here they are looking absolutely stunning.